Have you ever visited Scoop.it website? This is one of the leading social bookmarking website of this generation. Most often when we share our posts immediately after publishing new post at Allbloggingcoach. 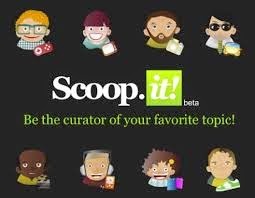 Scoop.it is one of the newly created social bookmarking website that helps bloggers to share their posts with billions of internet lovers, did you just exclaimed? Exactly what I did when I started seeing the results. Scoop.it has become so so noted, that it was counted among the top 200 social bookmarking websites., and this is exactly why I needed to write about this great social bookmarking site. One of the special features about scoop.it is that, the links pointing back to your website are dofollow backlinks. Whao! I guess?. Aside all this benefits, scoop.it is very helpful when it comes to post crawling and indexing rates. With our few months of using scoop.it, we now concluded that this social bookmarking site is a very good platform for bloggers to share their post, and get back quality backlinks to their sites/blogs . Nevertheless, one of our loyal requested from me to share a very good post on how to get a very good access stress from one’s blog to scoop.it platform. I mean how one can add a social bookmarking button on a blog, and most particularly scoop.it. Therefore, in this article i would like to show you, how to add Scoop.it bookmarking buttons in blogger blog. I believe as you take the pace of the journey, you will surely enjoy it. I’m sure there shouldn’t be any blogger who will not be aware of social bookmarking websites, and then this post should be of great help to you. As said earlier, Scoop.it was considered to be the best social bookmarking site in 2013, where all bloggers, internet marketers and webmaster share their posts and get high quality backlinks back to their websites. This community as I will call it is a very engaging and recommendable place to share your post. This site is very good especially for the newbie who just got into blogging, and that will like to add more juice to their blog string. It has been confirmed that social bookmarking sites really help in getting one’s blog post index fast, so if you really want to get your post index as fast as possible on google and also get high quality backlinks, then scoop.it is the best choice. Have you ever thought why the need for social bookmarking buttons on your blog?here While there should must be a Scoop.it widget or button in your blog or website, so that you could easily share the post through it. Here you will learn step by step guide, how we could add the scoop.it social button widget in our blogger blog. Click on Add Gadget from the layout interface. Now past one of the below buttons coding which you want to add in your blog. Conclusively, i believed that this tutorial is enough to convinced you of how can can add scoop.it button on your blog. We are confident you will be easily installed this button widget in your blog by follow the above step by step guide. Before you go, kindly share this post with a friend on your social media page. Sharing is caring!! !